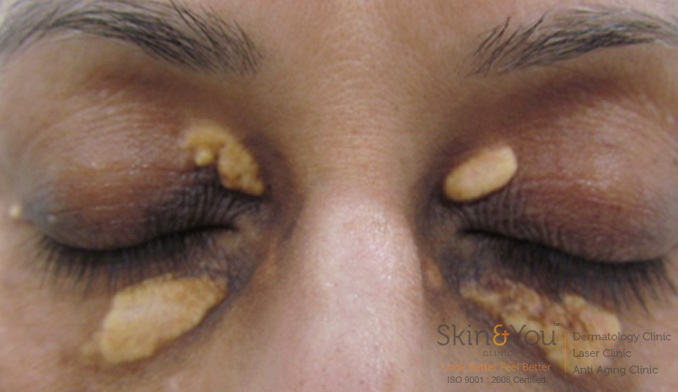 Why Skin & You for Xanthelasma Treatment? We at Skin & You Clinic use the novel minimally ablative RF laser device, just as a damaged painting is delicately restored one area at a time, or a photographic image is altered, pixel by pixel, the RF Pixel improves your appearance by affecting only a fraction of your skin at a time with thousands of microscopic RF Pixel spots. We have used the treatment successfully in Xanthelasma cases with good response.